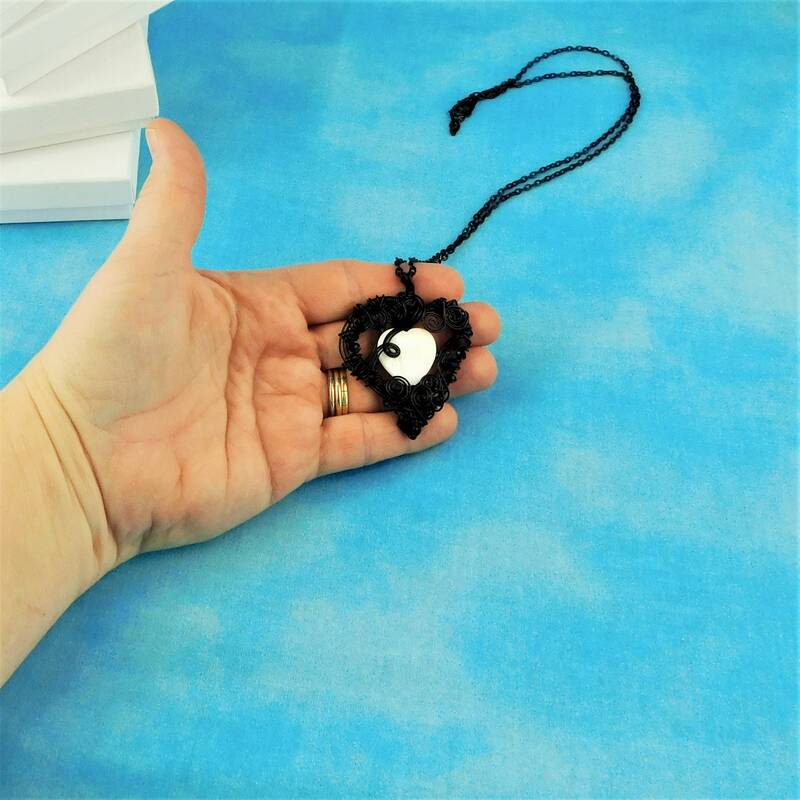 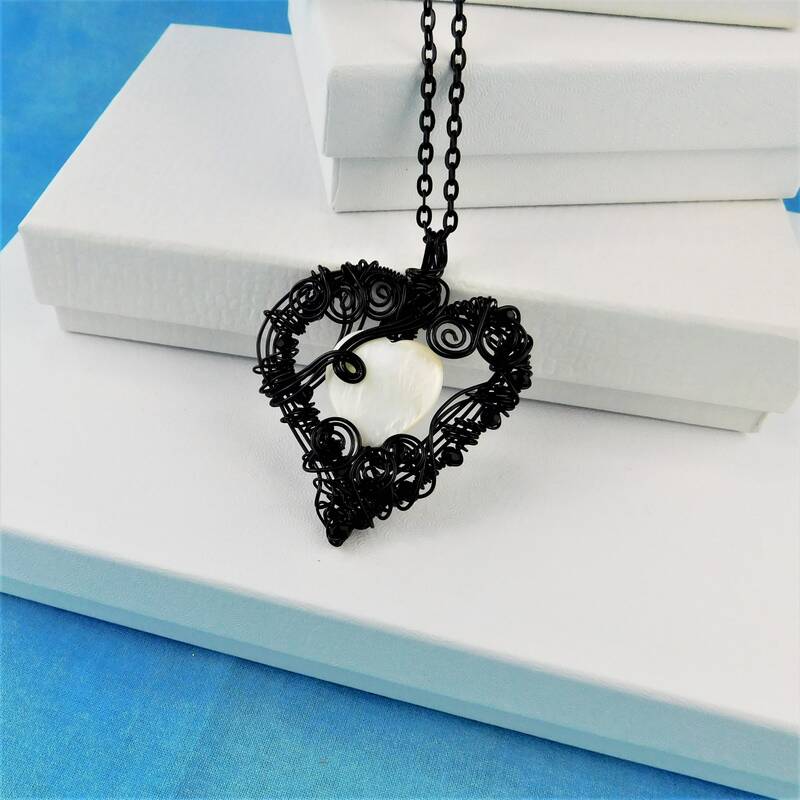 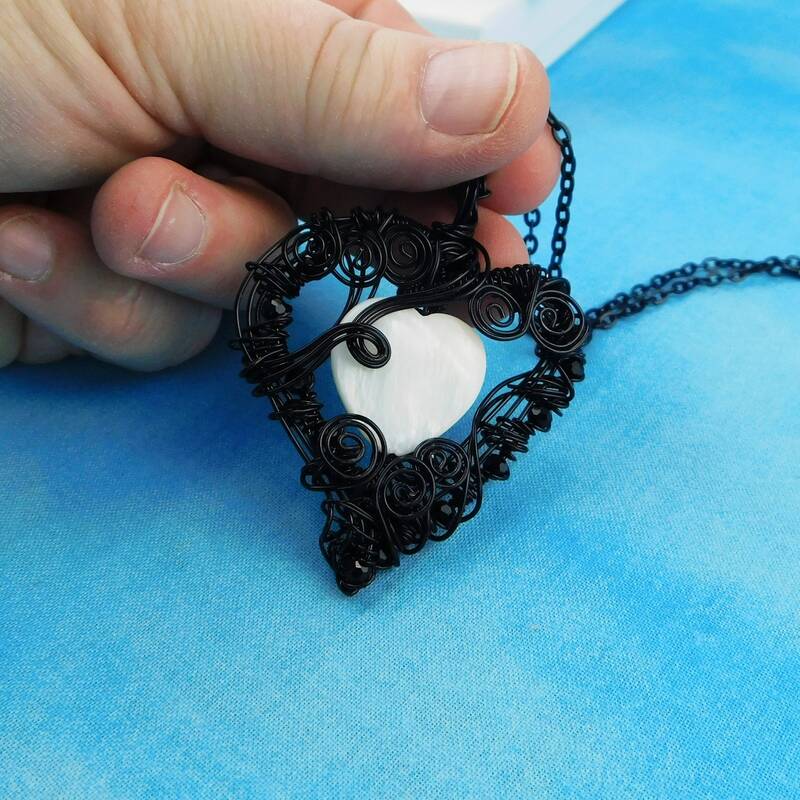 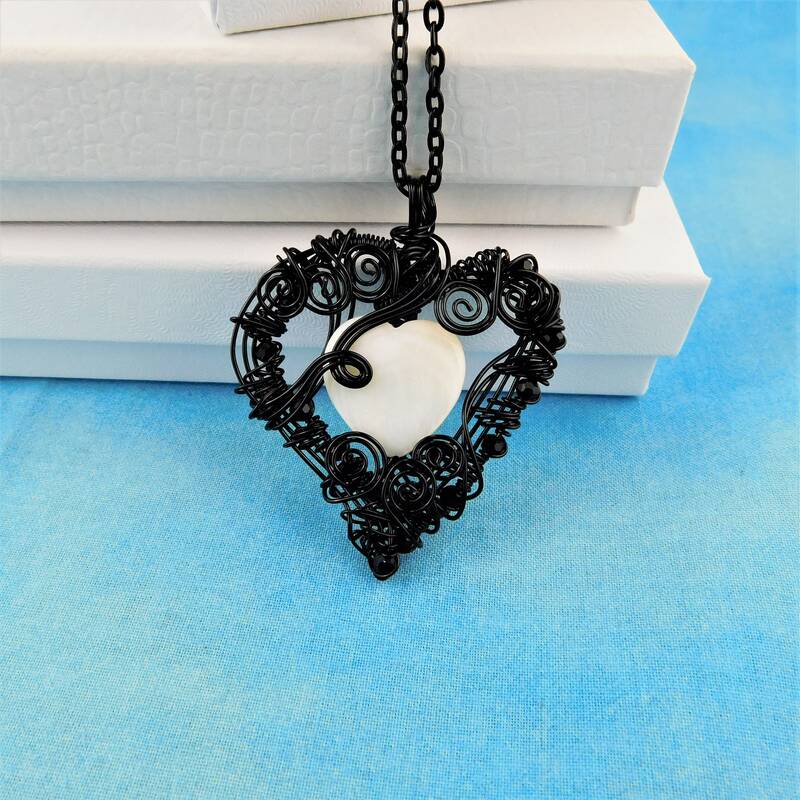 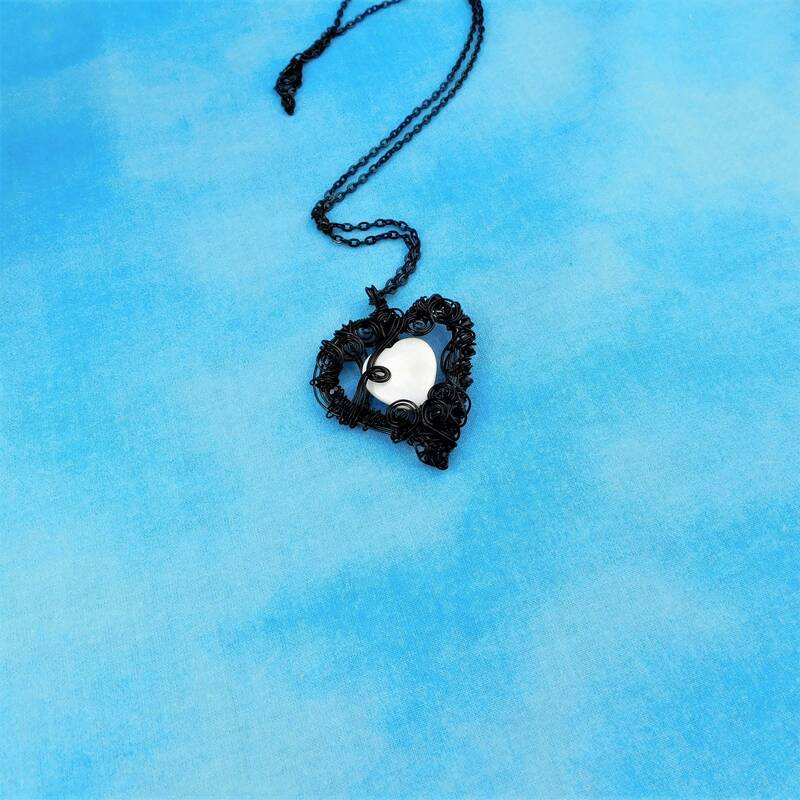 Black colored non tarnish copper wire is hand woven and sculpted into a heart shape, incorporating a natural white mother of pearl heart, and tiny black crystals along the edge of the heart. 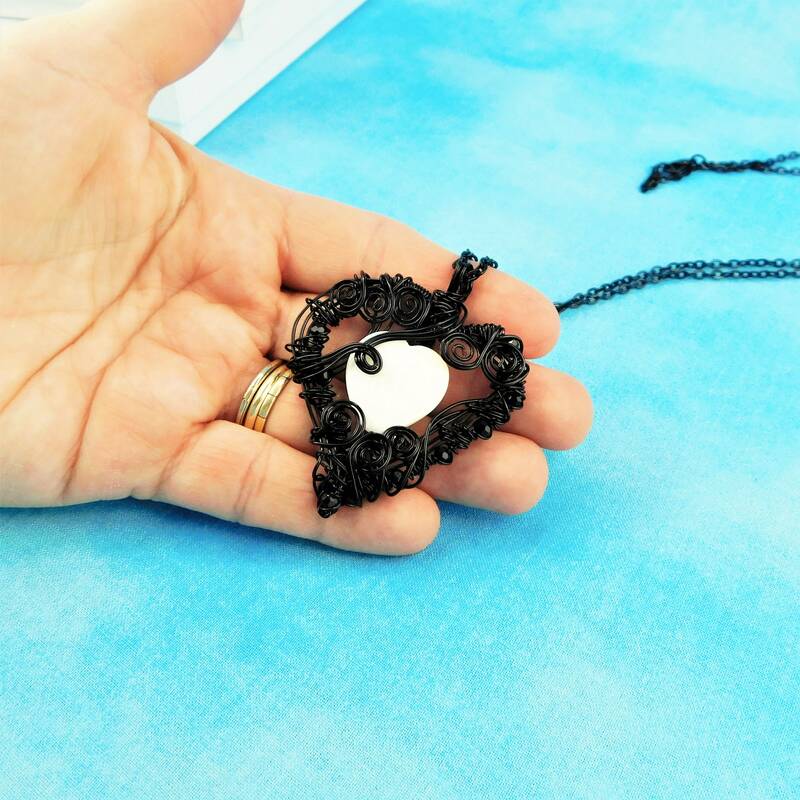 This process involves time, pliers and patience. 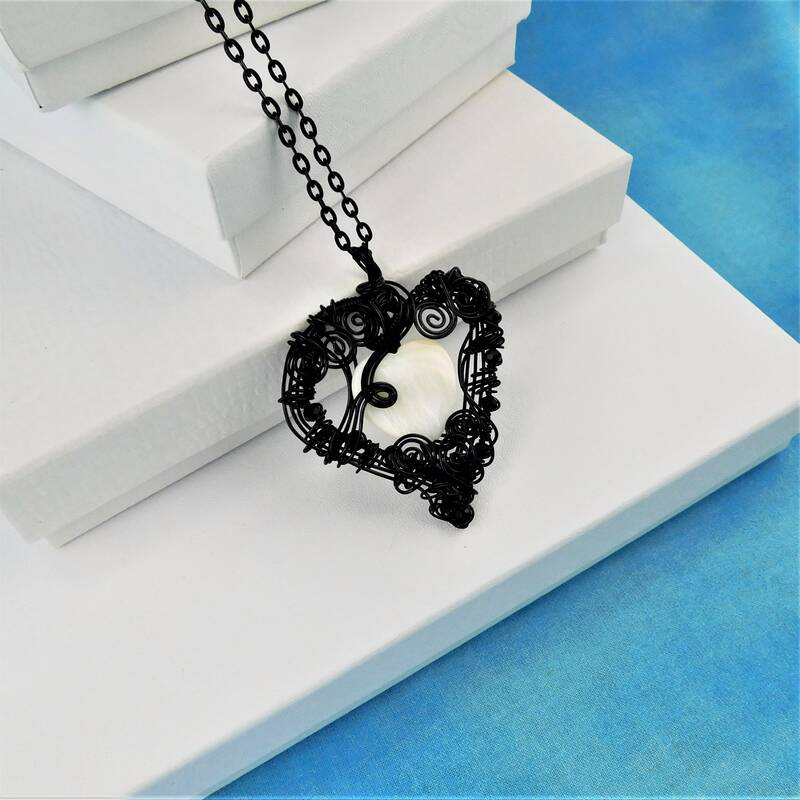 The basic black color of this pendant makes it easy to add as an accessory to any wardrobe choice. 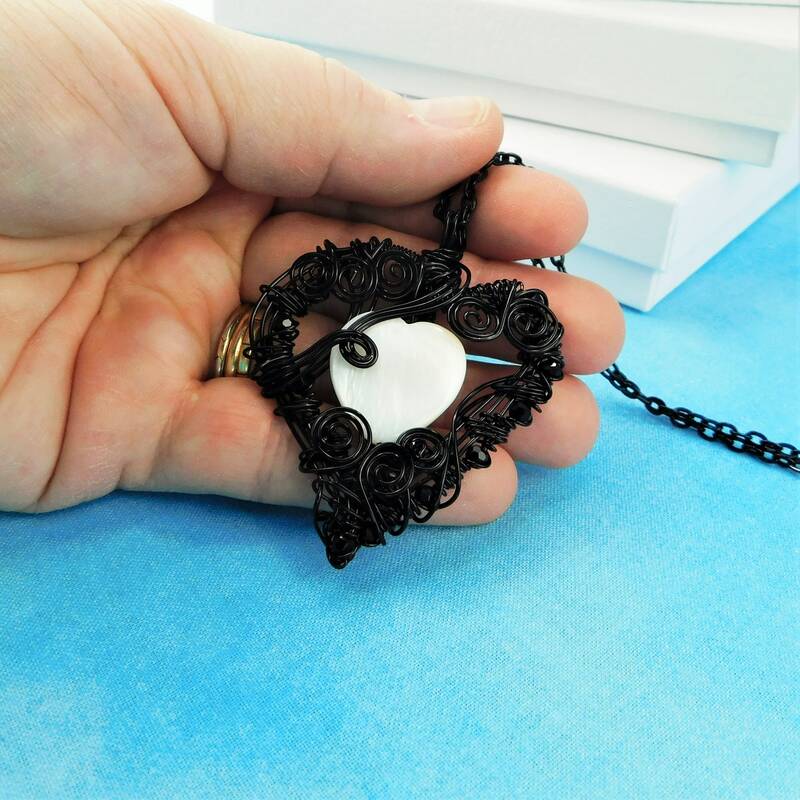 It's lacy appearance gives it a feminine flourish. 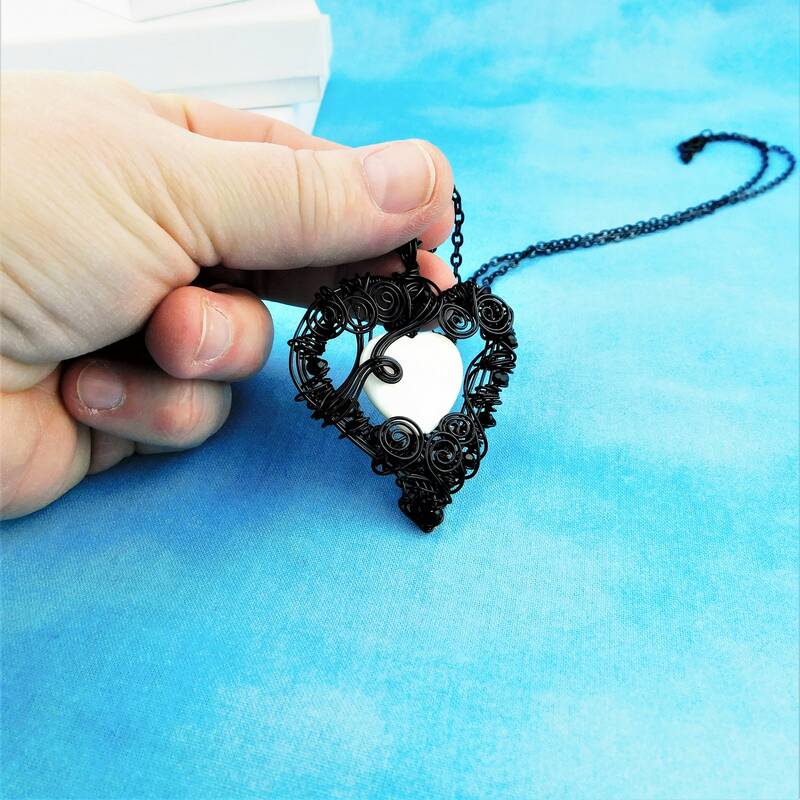 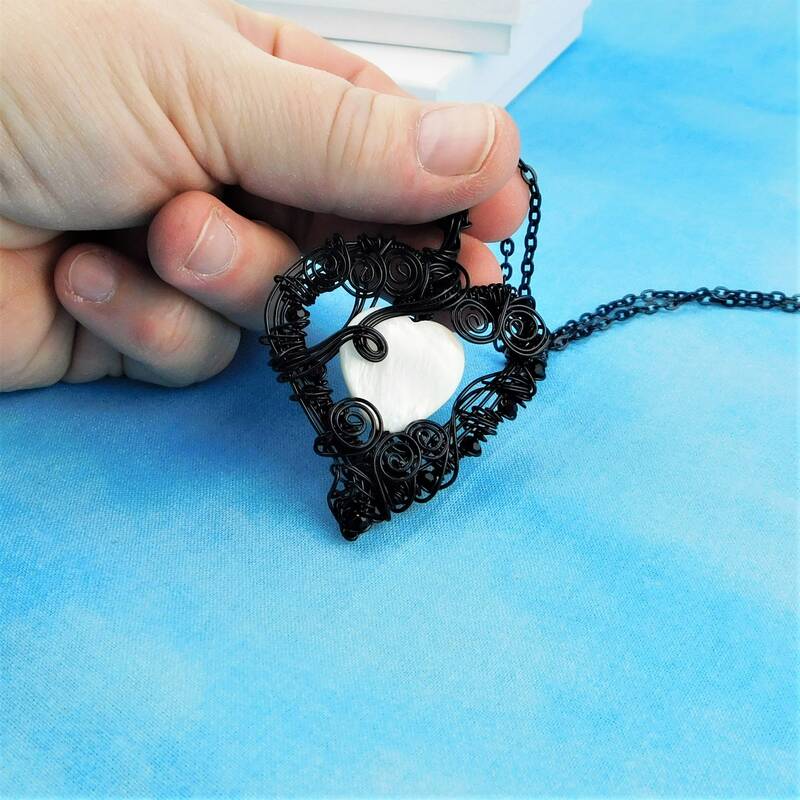 The heart measures 2 inches high by 2 inches wide and comes with a coordinating chain with lobster claw clasp, measured to your preferred length.